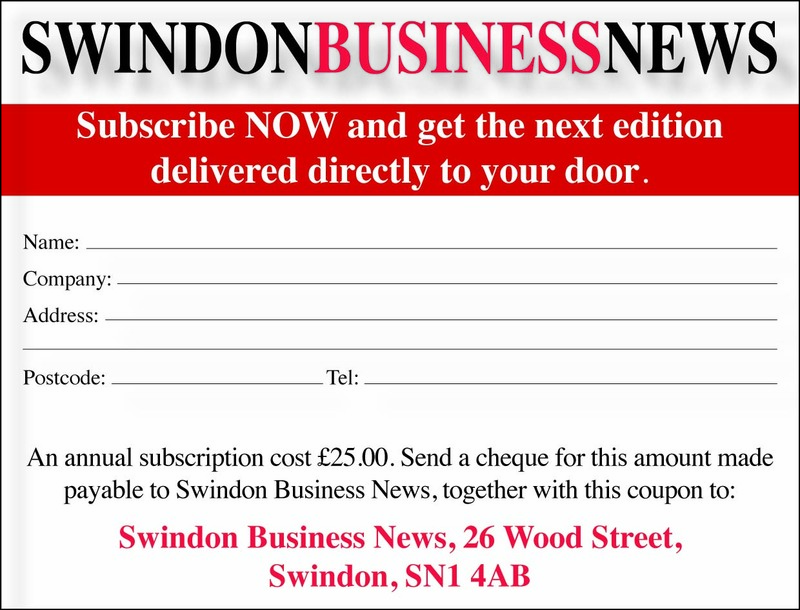 Swindon & Wiltshire Business News is the area's premier business publisher. Since its launch in 1982 it has developed into a highly-respected source of business news, information, analysis and comment through its bi-monthly newspaper and, increasing, through its online products. Today its publications are read by a wide range of senior executives, business owners, entrepreneurs and managers in both the private and public sectors. Its flagship Swindon & Wiltshire Business News publication is a unique, high-quality bi-monthly business newspaper with a loyal subscription base. Its news stories, features and profiles reflect the Swindon area’s dynamic business scene while it also serves as a showcase for innovation, creativity and enterprise. Every two months Swindon & Wiltshire Business News highlights the corporate finance, legal, commercial property and business services sectors through editorially-led features, offering excellent opportunities to reach key players and organisations within these areas. In the same way, it produces regular features on a range of topical business issues which serve as the ideal platform to position your business as thought leaders in your specialist field. These include showcasing the area’s fastest-growing and most creative businesses and the individuals behind them. Swindon & Wiltshire Business News also offers enhanced ways of engaging directly with senior figures in the area’s business community through round tables, seminars and other high-profile events, all of which are extensively covered within its pages. Each year Swindon & Wiltshire Business News produces its prestigious annual Swindon Top 100 – a unique supplement highlighting the area’s largest businesses. This highly-regarded publication is an essential resource for anyone doing business in Swindon. Building on the success of the printed edition, Swindon & Wiltshire Business News’ website delivers breaking news, information and analysis to a rapidly-growing number of visitors – 40,000-plus and rising. Through banner and tower advertisements, sponsorship packages and its extensive business directory, the site offers a range of cost-effective, highly-visual promotional opportunities all of which can link through to your own site. Supporting the printed and online versions of Swindon & Wiltshire Business News is its weekly e-bulletin which delivers breaking news, diary dates, advice and other information direct to the in-boxes of more than 3,000 key individuals in the county’s business community. These e-bulletins offer excellent opportunities to directly target a hard-to-reach business audience. Swindon & Wiltshire Business News offers much more than just advertising. We encourage a partnership approach to help you raise your profile by engaging with your target market, generate leads and position yourself as a key influencer.